On May 3, Hogan Chevrolet Buick GMC hosted ‘Drive for a Cause’ - a successful event in support of the Scarborough Sharks Girls Hockey Association. In a unique approach, people could take a ‘no-obligation’ test drive of a Hogan car, in return for a $50 contribution to the Sharks. Some 181 people took a test drive that day and others kicked in for some delicious foods barbequed at Hogan’s. 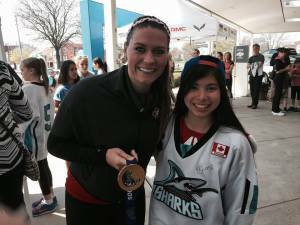 This event generated a total contribution to the Scarborough Sharks Girls Hockey Association of $9,621! 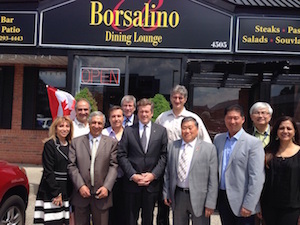 At the recent Annual General Meeting of Sheppard East Village BIA, 8 members were elected to serve as the Board for the next 4 years. Once the Board was elected by the BIA members, it then elected its Officers, from among the Board members. We thank these individuals for agreeing to provide their time for the good of all the businesses and professional offices on and near Sheppard Avenue East, between Midland Avenue and Markham Road. During the Christmas holiday season, the Sharks Girls Hockey League staged a very successful tournament in our area - for hockey teams of girls of all ages. We are pleased to share this video about the Tournament – sponsored by Hogan Chevrolet Buick GMC at 5000 Sheppard Avenue East (between McCowan and Markham Roads). 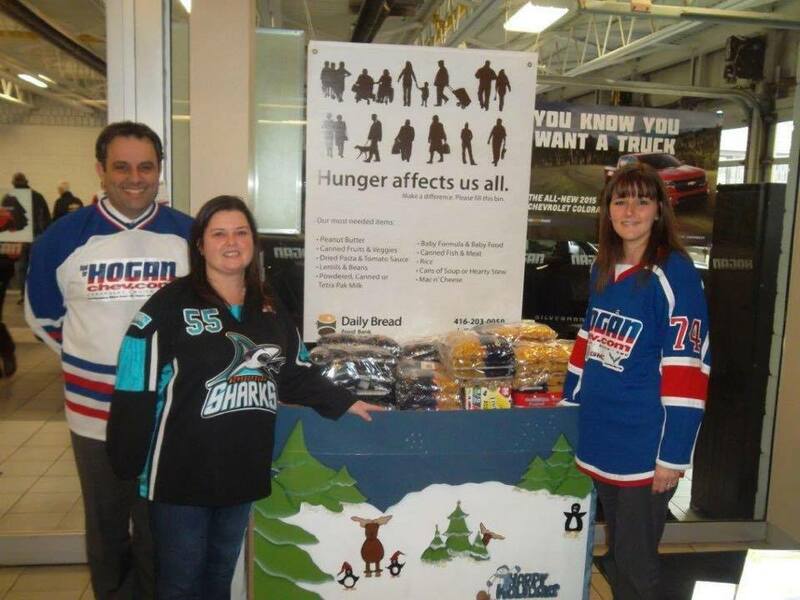 We are pleased to report that the recent Hogan Chevrolet, Buick GMC food drive in support of the Daily Bread Food Bank was a great success. With the continuing generous support of their customers and staff, the Hogan food drive was able to turn over 3,075 pounds of food to the Food Bank – a major contribution to an important service for the people of Toronto. Hogan Chevrolet Buick GMC is located at 5000 Sheppard Ave. East, between Markham and McCowan. Danny Wong, an enthusiastic and knowledgeable young professional, is now the Manager of Superior Tire (5070 Sheppard Ave. East – just west of Markham Road) and is ready to meet your automotive needs. Danny succeeded Ken Diceman, who retired after 30+ years with Superior Tire. Ken Diceman was a founding member of the Sheppard East Village BIA and served as a Board member and Treasurer, for a number of years. We wish Ken well and thank him for his active support of all the businesses and professional offices in our area. Sheppard Pharmacy is now open to serve you – in Unit 13A, at 4465 Sheppard Avenue East, between Brimley Road and McCowan Road, on the south side of Sheppard. For further information, please drop in and speak to the pharmacist or you may call 416-293-9333. We are pleased to advise that a major expansion and renovation of the Bank of Montreal Branch at Sheppard East and Glen Watford (first light east of Midland Avenue) has now been completed. This BMO Branch offers all banking and mortgage services - and also includes representatives from the Bank’s Nesbitt Burns investment division. Manager Frank Ngan and his very capable staff welcome you to drop by. From January 2 to 4, 2015, the Scarborough Sharks Girls Hockey Association will present and host their 31st Annual New Year’s Classic Tournament in nearby arenas. Everyone is welcome and complete tournament game dates, times and other information is available at www.scarboroughsharks.com. Hogan Chevrolet Buick GMC is proud to sponsor this annual tournament for girls of all ages.